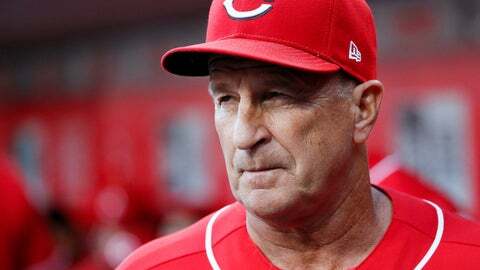 NEW YORK (AP) — A day after he was hired as the New York Mets‘ bench coach, Jim Riggleman acknowledged he may be viewed as a manager in waiting should Mickey Callaway be fired. New York started 11-1 last season in Callaway’s first season as a manager, then struggled with injuries and faded to 44-63 by early August before finishing fourth in the NL East at 77-85. “I don’t think there’s going to be any issue with any perception because I think we’re going to get that out of the way real quick by the way we work in spring training and the way we get out of the blocks in April as to what our ballclub is going to be able to do,” Riggleman said. Riggleman’s agent, Burton Rocks, was contacted about the job by Mets senior adviser Omar Minaya even before new Mets general manager Brodie Van Wagenen was hired last month. The 66-year-old Riggleman interviewed about two weeks ago with Van Wagenen, Callaway, assistant general manager John Ricco and Minaya. Riggleman was Cincinnati’s bench coach and became interim manager for the final 5½ months last season. He led the Reds to a 64-80 record after the team’s 3-15 start under Bryan Price. David Bell was hired by the Reds on Oct. 21. In a 2-1, 10-inning loss at Riggleman’s Reds on May 9, New York’s Asdrubal Cabrera and Wilmer Flores batted out of order because the handwritten lineup card given to umpires was different from a computer-printed version posted in the Mets dugout.